At Enviro Chill Ltd, we supply and install a wide range of commercial fridges, chillers and cold rooms. We understand how difficult it can be to find the commercial refrigeration solution that meets all your needs. Commercial refrigeration units are in the unique position of being run 24 hours a day, every day of the year. With Enviro Chill Ltd’s commercial refrigeration services, you’ll be assured that your units are expertly installed and maintained, allowing you to focus on other aspects of your business. Our expert team are on hand to help you find the best refrigeration product for your specifications, before efficiently installing your fridge. Not only do we have supply and maintenance contracts with numerous local, independently owned stores, we also regularly work with large companies such as Londis. Our dedicated and professional installation team will ensure your refrigeration equipment is in safe hands. It’s critical that your refrigeration equipment suffers as little downtime as possible and works correctly to avoid costly wastage of fresh produce. With over a decade’s experience, there are few people you can trust as much as our refrigeration installation engineers. Our commercial refrigeration repair and maintenance engineers all have over 10 years’ experience in the refrigeration industry, giving them the necessary experience to quickly and efficiently identify the cause of your refrigeration unit’s fault before ensuring it’s completely fixed. To ensure we always offer our refrigeration maintenance services to the level you need, our repair and maintenance team have regular training, allowing them to stay up-to-date with cutting-edge new technologies and refrigeration equipment used in today’s industry. Almost every commercial market needs high quality refrigeration products in order to succeed in today’s industry. Enviro Chill Ltd has the ability to supply, install, maintain and repair the refrigeration units you need for storing fresh produce. In today’s cut-throat economic climate, you need high quality commercial refrigeration units to deliver the required levels of reliability and efficiency. 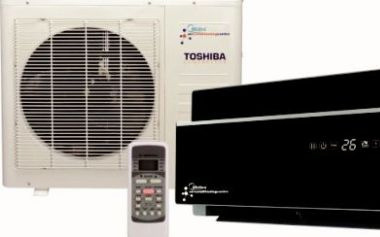 We at Enviro Chill Ltd are proud to offer a service that meets all your needs. For more information on our refrigeration services, or to talk to one of our experienced and professional refrigeration engineers, call 0151 285 1818 or contact us today.